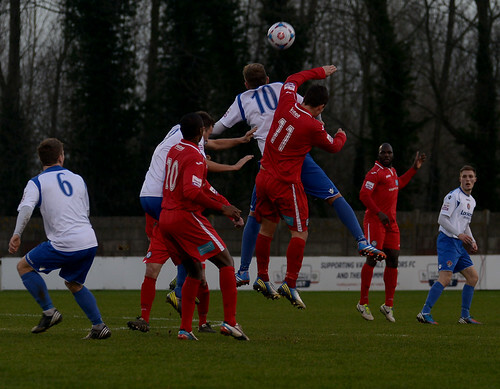 Hednesford Town were able to hang onto the top spot in the Skrill North following a battling 2-2 draw at Vauxhall Motors. This now of course means that The Pitmen will be top when Christmas Day arrives, a position which has seen the last five clubs doing so being promoted at the end of the season, writes Scott Smith. Following an even opening to the game Hednesford almost took the lead in the eighth minute when Ben Bailey saw his header saved by Zac Jones only for the ball to fall to Francino Francis who was unable to get a shot away in-time. 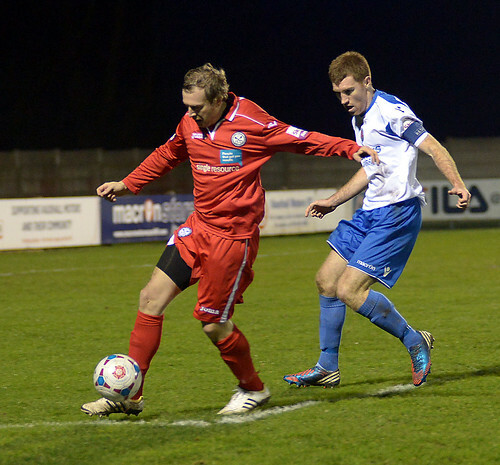 The Pitmen would come even closer to opening the scoring in the 22nd minute. A delightful ball over the top saw Nathan Woolfe strike the ball first time with his right-foot over Jones, only to see his effort cannon back off the cross-bar and away to safety. Just five minutes later Hednesford were behind. An innocuous ball down the right-wing cannoned off the unfortunate Woolfe into the path of Tom Rutter who was able to slot home underneath Dan Crane in the Town goal. 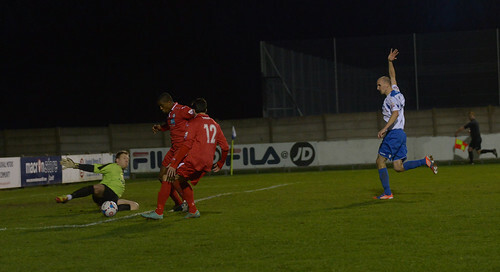 Although the home side buzzed around the Pitmen penalty area, there was little in way of clear cut chances. In fact Hednesford would come closest to scoring the next goal as first Woolfe and then Elliott Durrell fizzed efforts wide of either upright. Following the introduction of Wayne Riley and Tom Thorley at half-time Hednesford started the second period on the front foot and soon found themselves level in the 51st minute. A ball down the middle of the pitch caught the Vauxhall defence square and Riley was on hand to slot home beautifully first time from just inside the box. 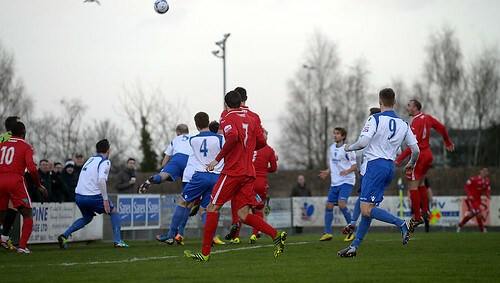 Two minutes later the game was turned on its head as, after being deemed to foul Jamey Osborne, Motors’ Matty Kosylo picked up the ball and hurled it into the Town midfielder’s face. There was only one option for the referee and Kosylo rightfully received his marching orders. 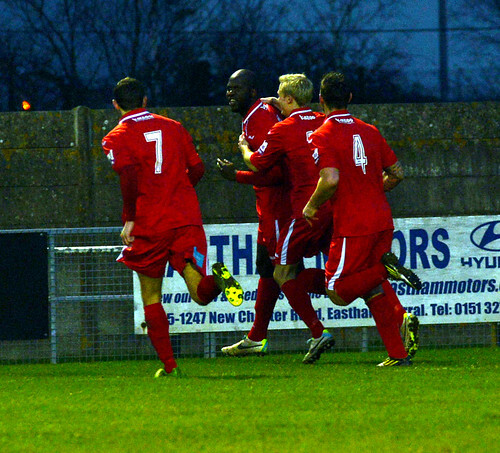 From the resulting free kick, Francis rose highest to head home inside a packed 18-yard box. Hednesford were now searching for a third which would surely kill off the game and they almost found it in the 65th minute as Riley burst clear only to see his attempted lob clawed away by Jones in the Vauxhall goal. 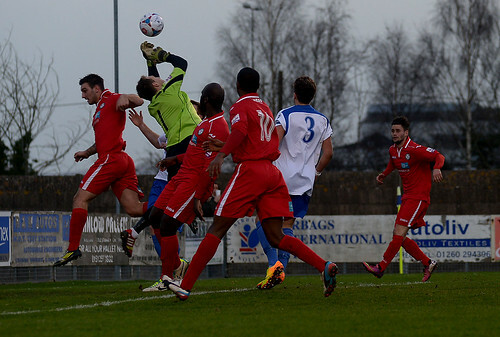 This would prove to be a crucial save as two minutes later the home side were level. After playing a nice one-two Lloyd Ellams found himself with plenty of room and he was able to curl the ball home past the helpless Crane. The home side certainly didn’t seem to be affected by the numerical disadvantage and they continued to press the visitors at every chance. However as the game entered the final ten minutes Hednesford almost grabbed a third goal which could well have taken all three points. 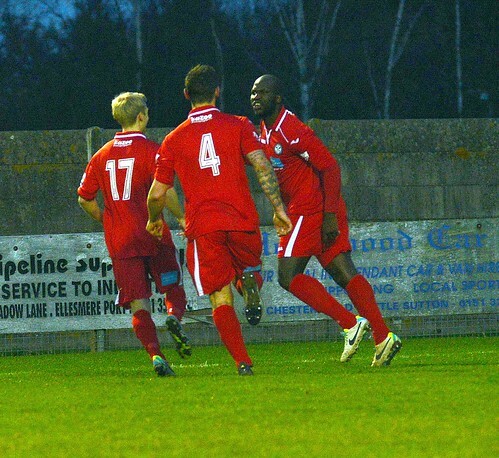 Firstly Durrell’s right-wing cross saw Riley just unable to get a good enough connection on the ball, before Ben Bailey saw a thunderbolt of an effort just fly over the bar. The final chance came in the 90th minute as Thorley got to the by-line and eventually found Osborne who saw his effort blocked away for a corner with the ball on its way into the net. In the end though Hednesford had to settle for a point, which would be good enough for them to stay two points clear at the top of the table ahead of the match against third placed AFC Telford United at Keys Park on Boxing Day, 3.00pm kickoff.